Posted May 23rd, 2017 by Mike Boyes & filed under Persuasion, Social Cognition, Social Influence, Social Perception, Stereotype Prejudice Discrimination. 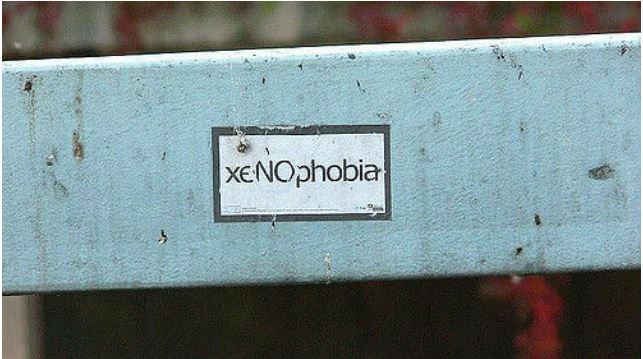 Description: Xenophobia involves an intense dislike and/or fear of people from other countries. 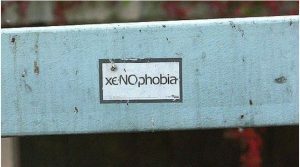 What sorts of factors keep people from thinking xenophobic thoughts, expressing xenophobic views or acting in xenophobically hateful or dangerous ways? Well, morality and rationality would, we hope, play something of a limiting role in this but another big factor are the social pressures of disapproval or more succinctly put, the stigma associated with xenophobic thoughts, statements and actions. Does that all make sense? OK so now here is a question: looking across American culture what role does Donald Trump and the Trump presidency play in the maintenance and advancement of social stigma against xenophobic views and action? Think about that and then read what recent research has to say about this question. Source: Why Social Stigma Matters, Benjamin Mitchell-Yellin, Psychology Today. So any surprises there? What IS clear is that we tend to assess the social landscape in order to assess what is, or will be acceptable. Our assessments can bed open to influence by information about the views of others AND by the statements made by people of influence like Donald Trump who made a large number of xenophobic-tinged statements prior to and since his election. The author of the linked article suggest we need to be vigilant and ready for the possibility that, in terms of xenophobic behavior, things could be getting a whole lot worse. How are the thoughts, statements, and actions of individuals with xenophobic views influenced by or linked to the current social norms regarding the acceptability of certain statements and actions? What role might the statements and actions of Donald Trump be playing in a possible increase in Xenophobic behavior up to and including the murder of black individuals by white supremacists influenced individuals?